In the patient of asthma bronchial, the small bronchial tubes get swell and shrink. So the patient feels difficulty in breathing. When he breaths out there is a voice of whistle. 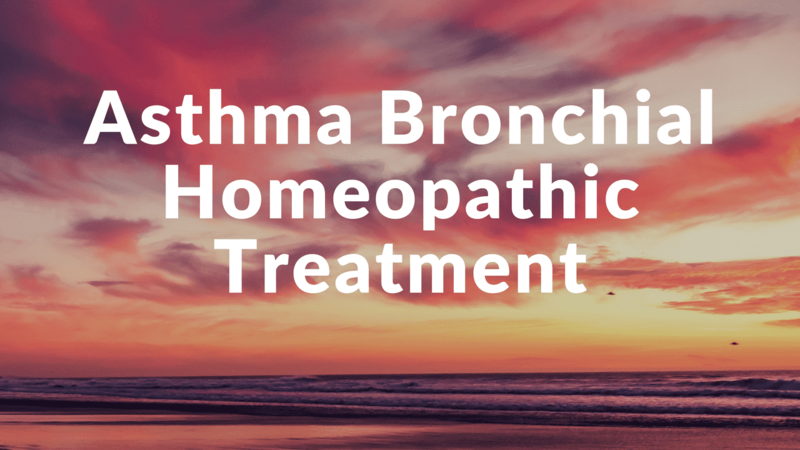 The patient of asthma bronchial is commonly the victim of difficulty in breathing. Learn More About What is Homeopathy and How it Works. In the young girls and boys during he breathing the lower trachea gets inward. When the period of asthma bronchial starts the patients seems in serious condition. But from asthma, the death may occur. In order to reduce the pain of asthma patient, we should give Aconite 30 (Aconitum Napellus) and Ipecac 30 in every 15 minutes. However, for the best result patient can be treated with these mentioned Homeopathic remedies by mixing in water. We can give belladonna 200 to these patients. In such patient pain level increases suddenly. Those patients who feel difficulty in breathing and pressure on the chest can cure with this homeopathic remedy calcium carbonicum 30. In Asthma with these conditions, we can give Cuprum Metall 200 to the patient. Dulcamara 200 homeopathic remedy can cure such patient who has less cough with mucus. Durig intense period of asthma attacks. We have to give Aconite 30 and Ipecac 30 one by one. These two medicines should be given to the patient after 15 minutes. Repeat these medicines until the condition becomes normal. After the intense asthma attack period is over, Patient should be continuously treated with Ipecac 200. Still, the symptoms are not treated too. The Homeopathic remedy Ipecac’s patient does vomit before and after the formation of mucus. We can listen that Patient also has the whistle voice when he breathes out. He continuously cough and the mucus also comes out with a cough. Lachesis Homeopathic medicine is given to such patients having a sudden increase in the flow of blood. This increases in warm temperature only. Such a patient wants to lose clothes because of suffocation. Because of stretched chest feeling and cold sweating. Kali Sulph Medicine is given to such patient who has symptoms of bronchial asthma with mucus. There is a voice of mucus coming from the chest. They also feels irritation in alime (khoorak ki nali).